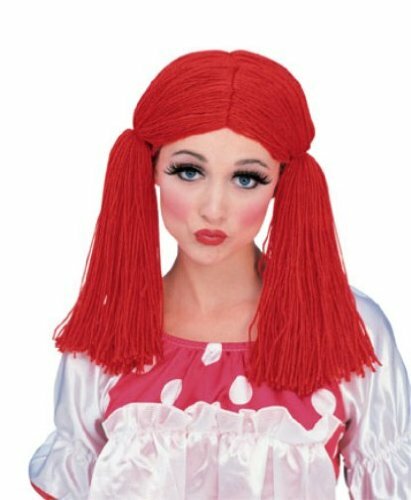 Add the finishing touch to your rag doll costume in this rag doll wig; features a thick red yarn look with a part down the center pulled into two side pig-tails held with white ribbons. 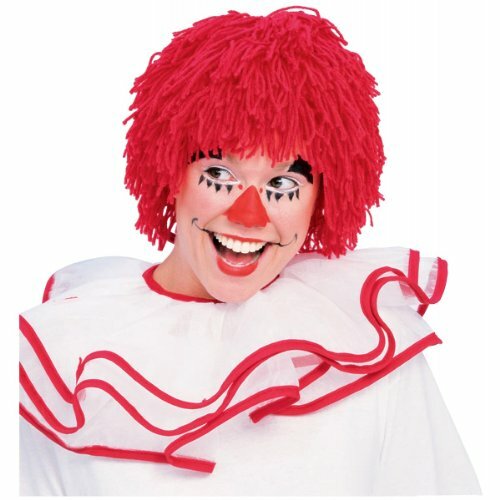 Great for a raggedy ann costume or adding a fun yarn hairdo to your unique costume. 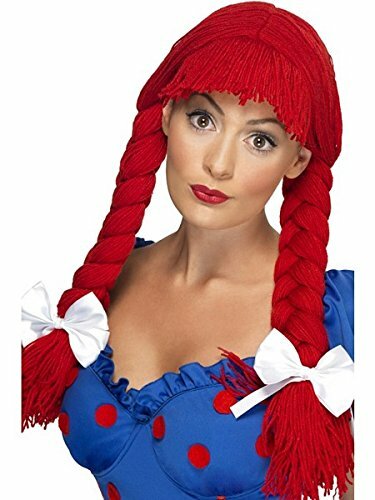 Wig may need some styling out of the package for desired look; wig cap recommended for best results. 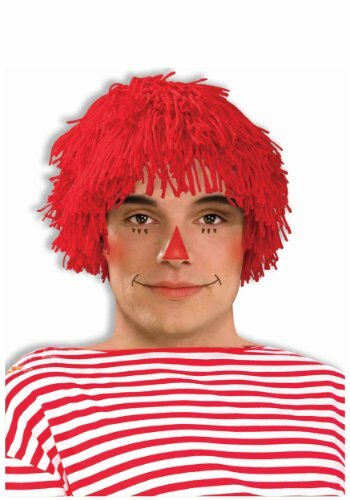 Includes wig only; all other pieces shown and wig cap sold separately. 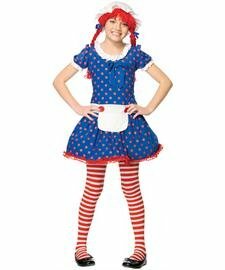 Designed for adults, great for all year long, fun runs; comic con; cosplay characters; birthday parties; school events; work parties; movie premieres; after school; dances; parades; homecoming; spirit week; themed parties; and of course trick or treat and Halloween too! from inspiration, through design and construction, Charades takes pride in quality materials and excellent finished products. 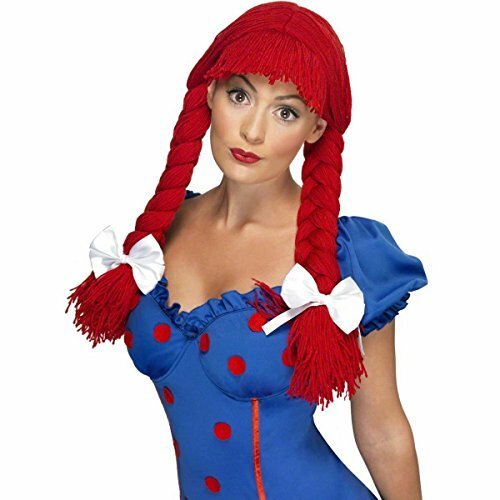 Go retro with the Rag Doll Wig. 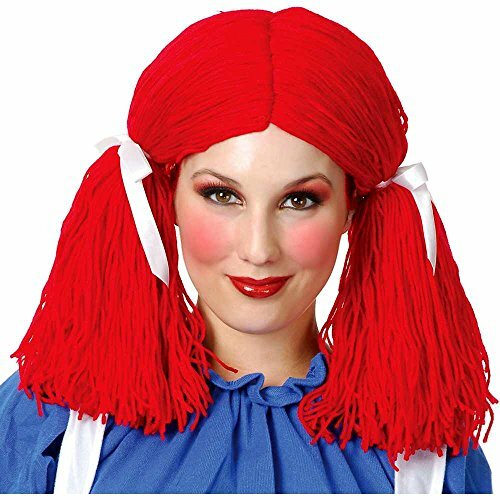 This wig features heavy red yarn fashioned into a Raggedy Ann hairdo with thick bangs and long braids tied with bows. Wig is 100% synthetic. One size fits most adults.